I decided to create a fun piece of digital art complete with an "Angel of Love" to celebrate this special day. May you be blessed with a lifetime of Love. I'm able to assemble one in Photoshop as well - "Grins". 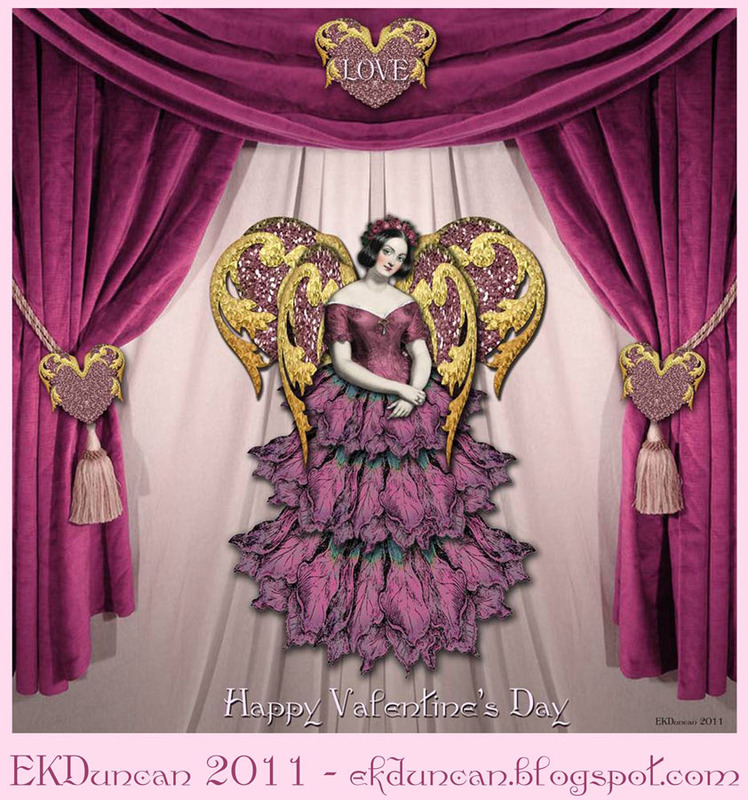 "Angle of Love" - Valentine's Day Digital Art Card. And here's how I did it! I used the middle green and gold mask as the base for the wings and hearts in my project. In Photoshop I changed the color of the mask and then I cropped out certain portions and digitally manipulated the image in several different ways to get the two sets of wings and the hearts. I took the png file of the Blue lady I purchased, removed the background and altered the color to be more of a mulberry using Photoshop. This was done by adding an adjustment layer and altering the Hue/Saturation settings till I arrived at a color I was happy with. I used the Blue lady for this process since I could single out the "cyan" value and get a dress color change without effecting skin and makeup. I did have to change her eye color manually when I was done with the dress color. I also erased the skirt below her arms. The Angel skirt was created by using one flower image, from the bottom of the sheet - 3 times on each tier of the skirt and widening and elongating each tier as I added them to the image. The flower was cropped so that only the "bell" was used and the color of the flower was adjusted in Photoshop to get a color to match my angels bodice. On each tier of the skirt, I've used the "Free Transform" mode from the "Edit" menu to slightly rotate the the flowers at each edge so they tilt outward and the center flower of each tier was left in the straight down position. I also layered the 3 flowers so the center flower was on the "top" layer of each row. were altered and put together in Photoshop. three manipulated hearts as accents. Several great digital images and lots of hours later I had my finished work of art. I was inspired to create my project based on the incredible artwork of Rande Hanson. 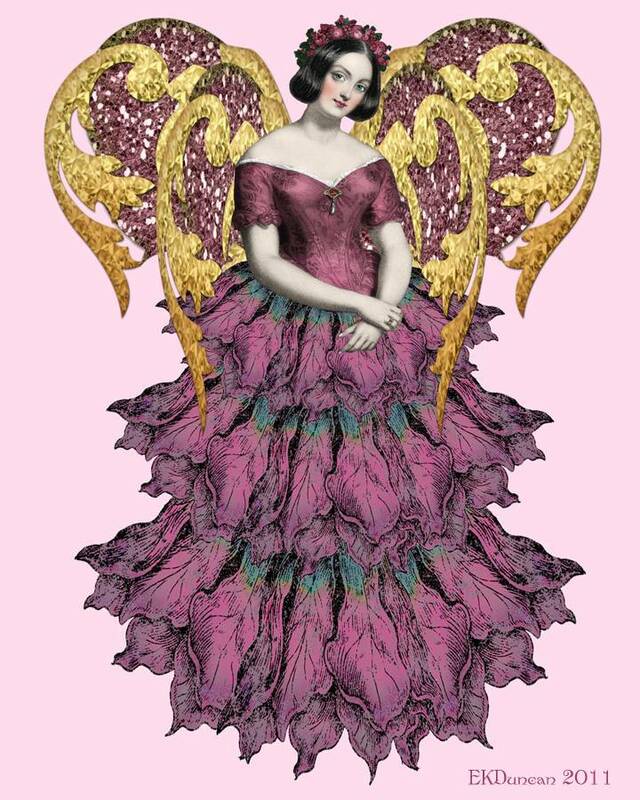 I spotted this great angel on the PaperWhimsy.com site durring Christmas and loved her use of elements. Thanks for the inspiration Rande!!! 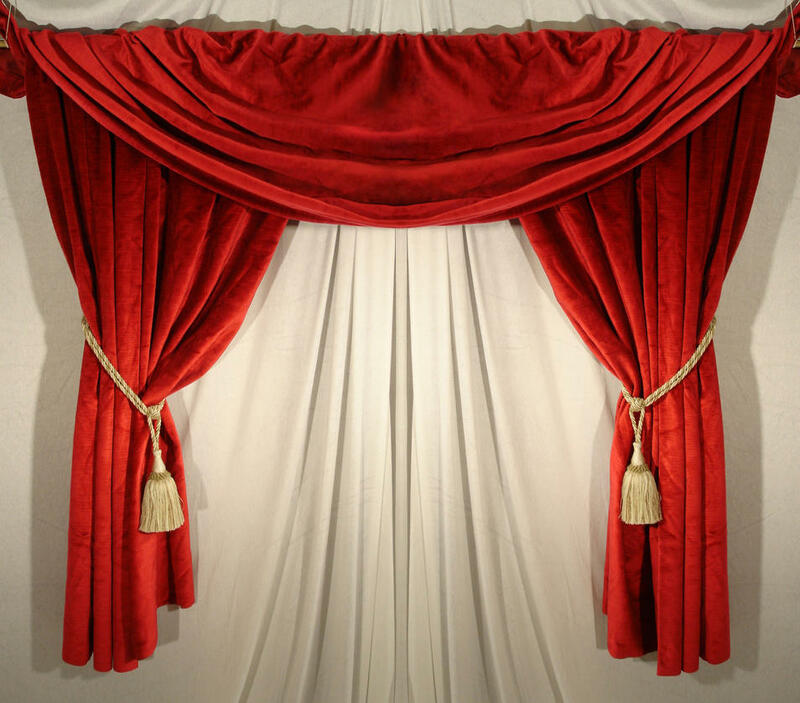 to create with and listing so many cool and inspirational pieces on your site. Click HERE to see the great PaperWhimsy Products available. Click HERE to search the PaperWhimsy "Inspire" section full of great ideas. I'm looking forward to seeing what other fun products and creations they will be listing in the future. and I look forward to seeing what you will create next. The angel is lovely! I wondered how you made the skirt and the flower petals are perfect, and very creative. The wings are really stunning! Thanks Chris - I've loved playing with paper dolls since I was a little girl and one of my favorite things to do is create fun skirts. Fans and Flowers have to be my all time top pick for this. The Idea for the wings came from Rande Hanson's Christmas angels. I was thrilled to come up with my own rendition of using the PaperWhimsy glitter mask to create my set of wings based on what I had seen Rande do with her angels. Yes, Linda - I'm a big fan of Rande's work. I have not taken advantage of going through one of her tutorials yet; so I'll probably give that a go this week and see what fun new tips and tricks I can pick up from her.